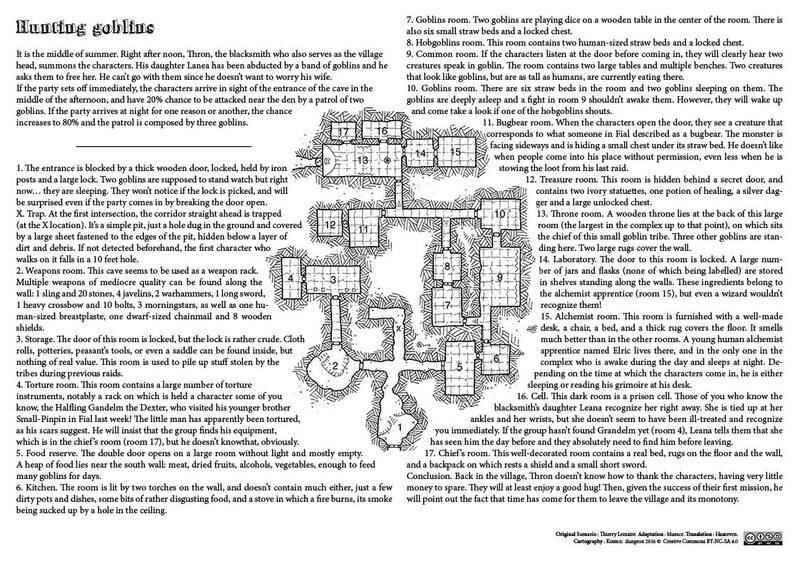 Hello everyone, here is the first one page dungeon from a collaboration with the webmaster of the site AideDD, the screenplay version dedicated to 5th DnD is available on its website, we expect publication month. I am proud and happy to share with you the result of this friendly collaboration. Thanks Haazeven for his English translation.